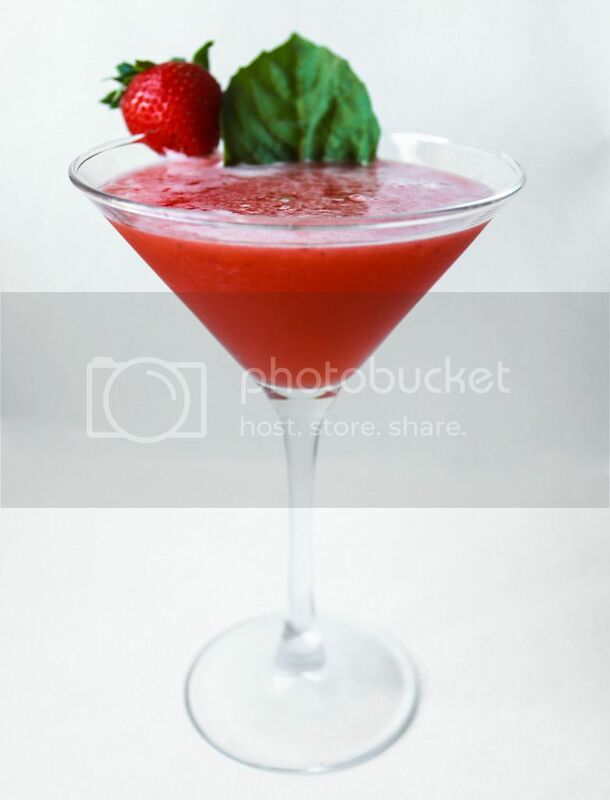 Janapolitan – (below) Belvedere Vodka, crushed strawberry, basil leaves and fresh lime, $7. 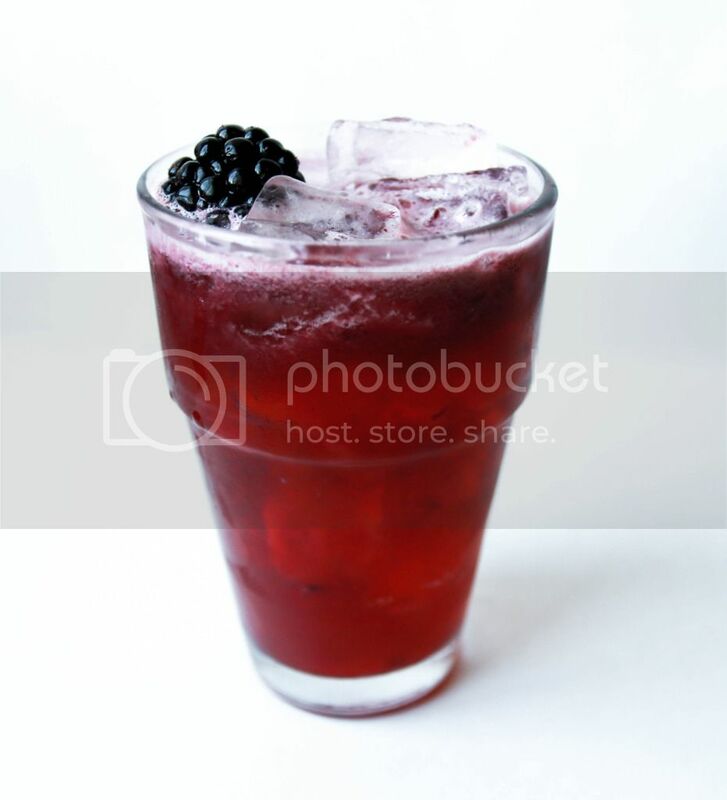 Lotus Flower – (below) Grey Goose vodka, crushed blackberries, St. Germain Elderflower liqueur and fresh lemon (definitely for someone with a sweet tooth), $7. 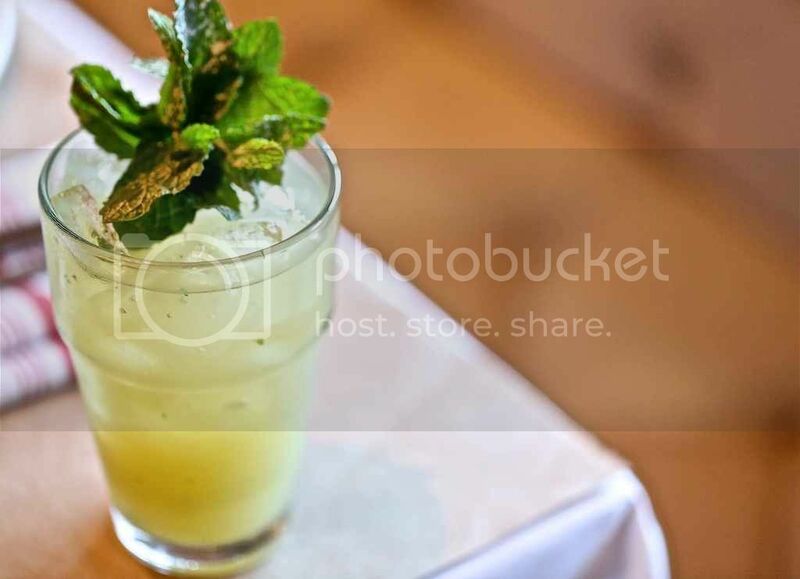 Ginger Mojito – (below) Bacardi Silver rum, ginger syrup, fresh lime and syrup, $6. 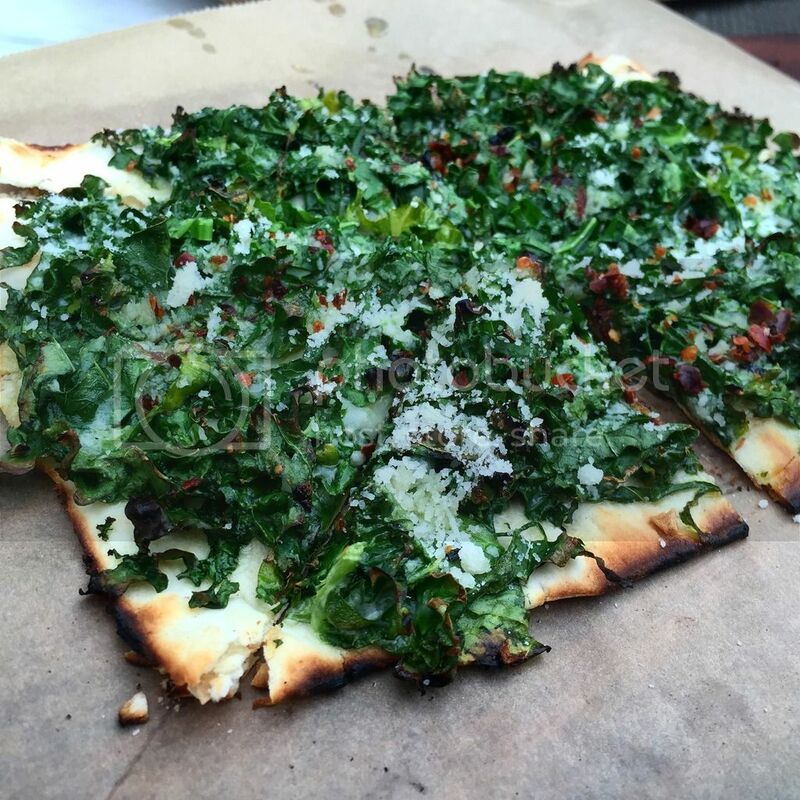 Kale Flatbread – (below) clean, salty and crisp, $6. 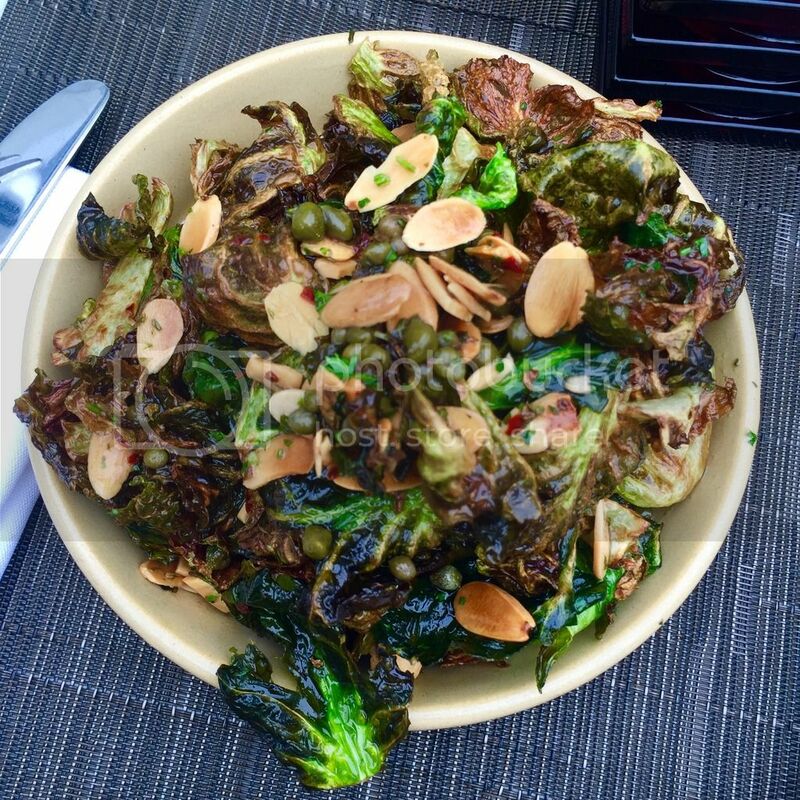 Brussels Sprouts – (below) tender and seasoned to perfection, $5. 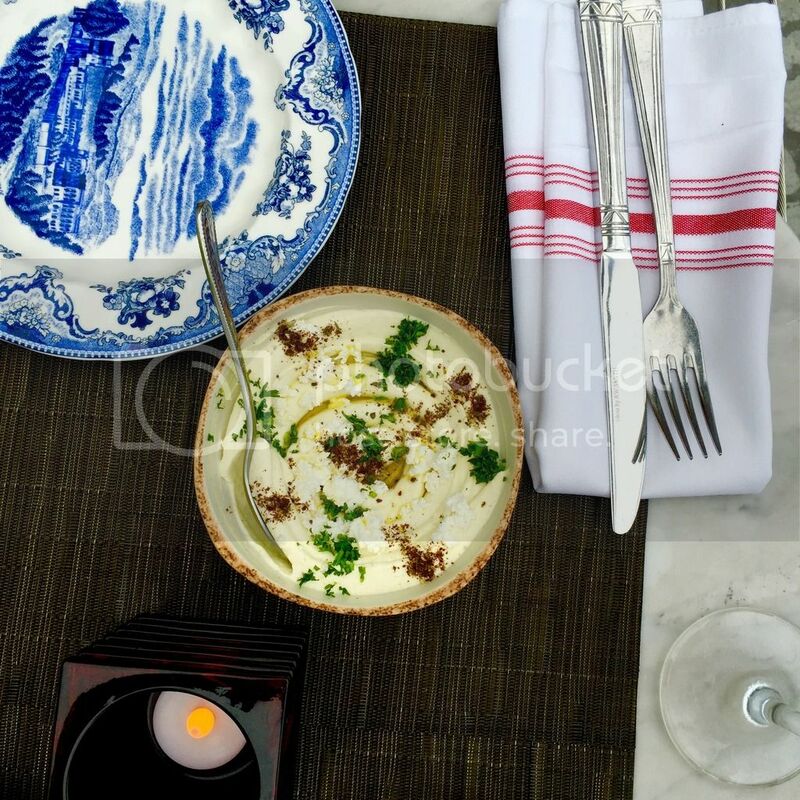 Lebaneh with Feta Dip – (our favorite, below) creamy and refreshing, $5. Kebabs – (below, far left) shrimp (not on Social Hour menu), Wagyu Skirt ($7) and Tandori Chicken ($5). 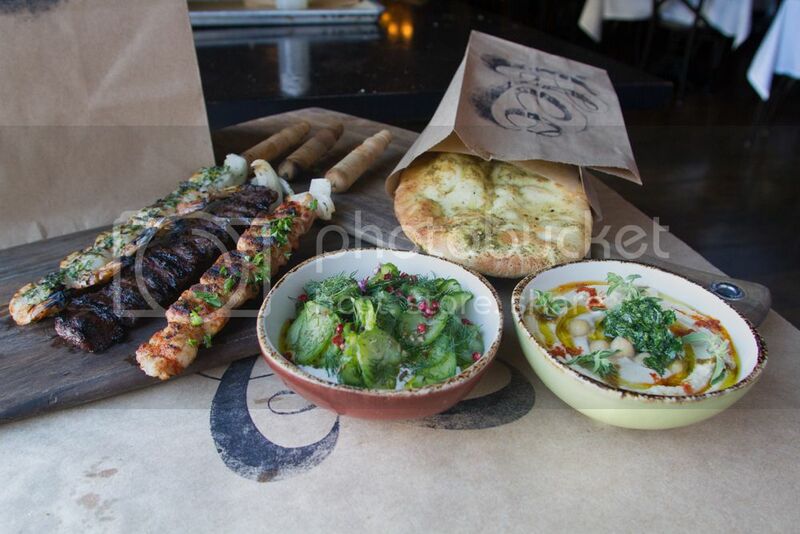 Hummus – (below, far right) a perfect complement to Cleo’s giant herb Naan loaf (pictured in bag), $5. The Scene: Like the restaurant’s eclectic decor and tableware, Cleo caters to a refreshingly diverse audience. Tourists taking a break from the beach for a late lunch sit munching on the terrace in their bathing suits and cover ups. Professionals who work nearby sip Ginger Mojitos in their slacks and work dresses. Local ladies meet up for for a glass of wine and a snack with their girls, most of them toting their furry, four-legged friends (like most restaurants in South Beach, the outdoor area is pet friendly). Laid back and sporting enough old-Hollywood style to make you feel glam, Cleo is a great option for those looking for healthy Mediterranean cuisine at great prices in a casual environment that still brings a pinch of chic. The featured restaurant provided the food and drinks for the purpose of this preview.